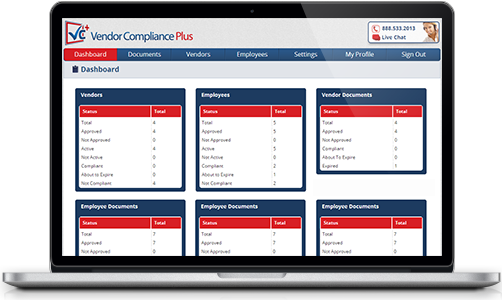 Vendor Compliance Plus maintains vendor profiles including a digital documents library. 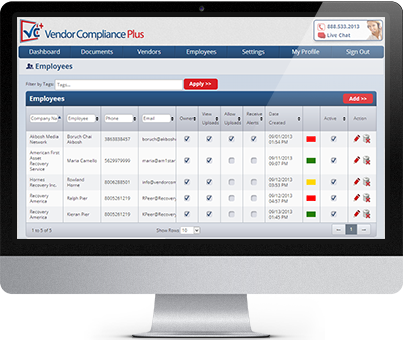 Vendor Compliance Plus searches national, state and county criminal records of both potential and current vendors. 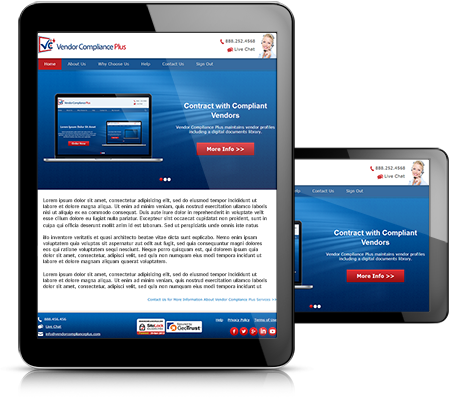 Site inspections by Vendor Compliance Plus provide necessary documentation, inspection site drawings/layouts, and photographs for current vendors' locations.